Invite your fans to witness the face-off first hand when you send out Hockey Badge Blue Invitations before your next hockey event! 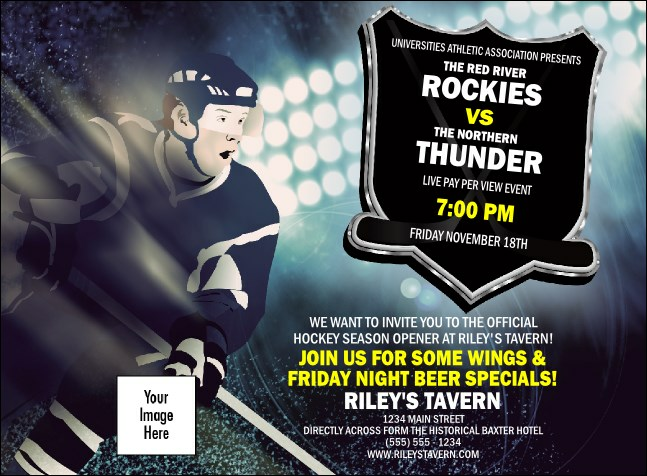 They’ll be thanking you for a long time to come when they get to see that winning slap-shot live and in-person! Include a logo to score some extra points with your corporate sponsor. Hockey-themed Event Kits from TicketPrinting.com are just the kind of line-change your team needs!